In a viral video in the Facebook post made by Netizen Angel Abella, the Rappler reporter Pia Ranada harasses and forcefully asks a Presidential Security Group officer for answers. 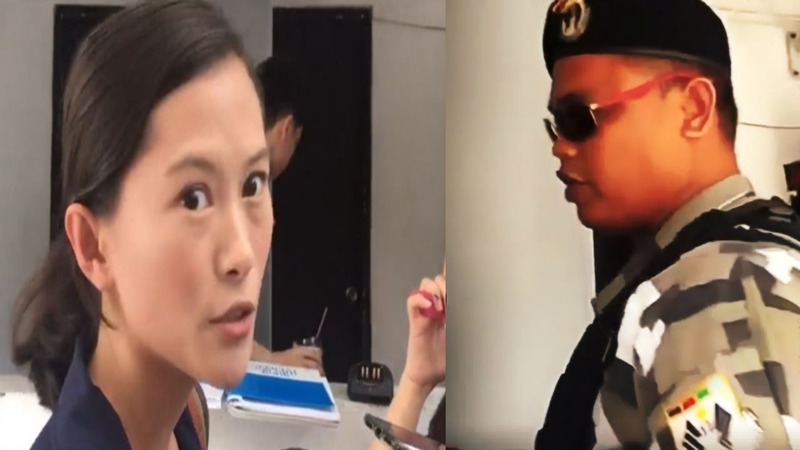 It was captured in the video that the denied Rappler reporter was frustratingly following the officer as he tried to evade the reporter for she lacks the qualifications as media entity. It can be clearly seen that the scene that Ranada was creating was hindering the officer in committing to his duties, which at any moment may become a threat to the security of the Presidential Communications and Operations office. Also in the video is a reporter of ABS-CBN trying to satirically ask the same officer about what the Rappler report was saying that allows Ranada to abuse her press freedom.